Our premises have been fully refurbished to present a bright and modern look, complete with a section specifically allocated for health information to keep you informed of all the current health campaigns. Our health care centre and private counselling room are available for any private health matter that you wish to discuss, and are naturally also used for our wide range of health services. Your pharmacists can help you understand and track the indicators important to overall health. Accurate, consistent monitoring of results from blood pressure to sugar and cholesterol levels are paramount to maintaining a healthy standard of living. 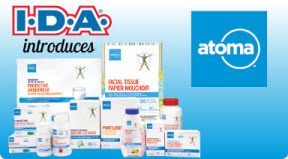 Additionally, you can find out about an exciting new brand, atoma, available exclusively at IDA pharmacies! 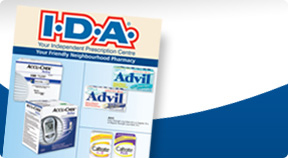 Just ask around — all customer inquiries regarding prescriptions, medicinal issues, exclusive dietary products like Ideal Protein, and beyond are easily responded to by our friendly staff.